Jessica from ASID headshot, originally uploaded by ditzlerphoto. 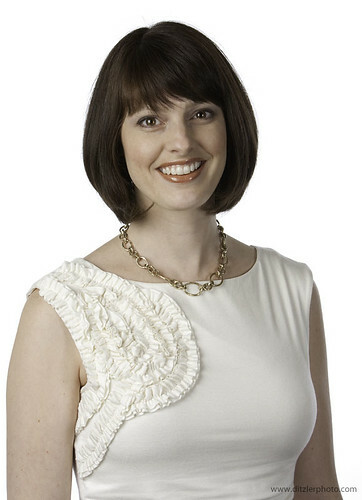 I was hired to shoot 100 headshots from the ASID (American Society of Interior Designers). They wanted them on a 100% white backdrop so I lit the backdrop separately. This enabled my to get it looking like this with very little work. I can comfortably shoot 45 people an hour like this. The pictures all look great and everyone loves them. Thank you for being so easy to work with and for giving us such a great end product. I’ve made sure that everyone has your contact information for next year or any events that might come up before then. ASID | American Society of Interior Designers"